including puppets in some aspect of your work with children- watching them, interacting with them, making them or presenting with them- you need to reconsider the impact of puppets. Maybe you’d like to develop a puppetry team or even highlight the possibilities of puppets with your volunteers but don’t know where to start. Why not print off our puppetry training handout for your volunteers (see here..) as an introduction to the training series and a highlight the weekly emailed videos? Encourage everyone to read the material and watch the videos. Make it something they will look forward to by including special news, information or photos about your program or upcoming events or links to fun puppet ideas and ‘how-to’ suggestions. Maybe you could make it really special and create a competition with a classroom puppet as the prize. While we all accept the need to keep current in our ministry, we also acknowledge the difficulty of finding and reading quality content and the costs of magazine subscriptions and books. So... you'll be pleased to know that there are ministry magazines available to download in-app to your iPad/Smartphone. Thriving Family (Focus on the Family) provides a free magazine download with content covering family stages, media reviews, ideas for including family faith into your busy life, devotions, family living articles and more. Read it yourself and encourage families to download and read these family articles and features, too. It might be helpful to note, too, that a free weekly family newsletter is available to download and print off for families in your church. It's a single-page parenting tool that includes a family devotion and brief parenting insight. Check out the sample page below. Further issues are available from their site.. here. HomeFront (David C. Cook) is another free downloadable magazine app that you may like to consider. Download and read the magazine or look through the listed resources- Environment, God's Word, Food and Fun, Traditions, Storytelling and more. Then choose 2 or 3 ideas to incorporate into your family times during the week. 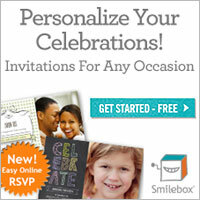 You'll find conversation starters, recipes and activities for different age groups. Group Publishing has produced a digital version of their Children's Ministry Magazine that is available via app download. A sample issue is provided at no cost but a subscription can be purchased in-app: $2.99 per issue or an annual subscription $11.99. It's a low-cost, excellent way to keep up-to-date with all the news, reviews and trends in children's ministry through the easy access of your iPad.